Monday, May 6th – Thursday, May 9th: A four-day birding trip to Point Pelee National Park, Rondeau Provincial Park and Hillman Marsh Conservation Area. There is no experience quite like taking in spring migration at Point Pelee National Park. Overall, the birding is off-the-charts good; in fact, it is Birding Nirvana. As a guide, I assure you that you will get my very best in patience, information sharing, bird spotting, ID by sight and sound, and logistical coverage such as organizing carpooling and meals, as well as taking care of eBird lists. In 2018, the Eastern Ontario Birding group enjoyed superb birding, and in the end, between the three tour groups, we tallied a total of 210 species of birds. Warblers, tanagers, flycatchers, vireos, grosbeaks, wrens, thrushes, sparrows, terns and shorebirds are just some of the bird groups you’ll get to enjoy (and learn more about) during this tour. For more information with regards to last year’s trips, including eBird checklists and testimonials, please see EOB’s Point Pelee hub, here. Daily schedule: Each day, we will catch the first tram in the morning. This tram leaves the VC at 6:00 AM, but fills up beforehand. Each year, we generally arrive at the tram pick-up area, ready to birdwatch for the morning, at 5:45 AM. We will bird from 6 AM to approximately noon, with a coffee and snack break of fifteen minutes typically scheduled around 9-9:30 AM. After lunch, birders will have the option of returning to their hotels or continuing to bird for several more hours, where we will follow up on the morning’s sightings and even targeting rarities. Between 2:30-3:00 PM each day, I will wrap up the day’s tour. Each evening, I will schedule a sit-down dinner for the group. Dinner will be scheduled for 5:30 PM, giving us time to bird Hillman Marsh or Wheatley Harbour afterwards. Duration: Each day, we will bird from 6 AM to noon. A 20-minute snack break will be scheduled in the morning (approximately 9:00 AM) along with a 60-minute lunch break around noon. If birding is productive, I will open the invitation for birders to join me for several more hours of birding Point Pelee, wrapping up the tour day by 3:00 PM. After dinner, we may visit Hillman Marsh for shorebirding. These additional outings typically last approximately 90 minutes. 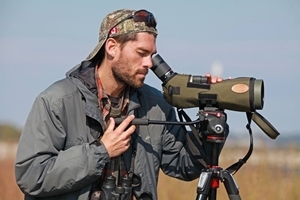 At a minimum, birders should expect to bird 7.5 hours each day. Walking: Each day, we will bird by foot for most of the day. The pace is slow, but the long days on one’s feet can be challenging. We will have approximately 60-80 min cumulative rest each day (snacks, coffee break, lunch), so this certainly does help rest the body. Be sure to wear sturdy footwear, comfortable clothing, and pack a camping stool (fold-up) for moments where sitting is possible (such as waiting on a skulking bird in dense foliage). Overall Activity Scale: I rate this tour a 3/5 regarding its activity toll. Essentially, this tour is a LITE version of the following tour. During this tour, we will bird, on average, 3-4 hours less per day. Although we will be birding at a snail’s pace, it must be said that the repeated early mornings, long birding days on one’s feet, and long periods of time standing still do accumulate and take their toll on the body. I recommend that birders carefully consider the provided information with regards to our daily schedule before signing up for this tour. Driving: Carpool arrangements to-and-from our birding destinations will be made well in advance (I like to have these arrangments made several months in advance. I’ll begin the carpool-organizing process in early March). Accommodations: You must book your accommodations for this tour, and I recommend doing so ASAP. Ultimately, I am flexible as to where you choose to stay. In past years, clients have chosen Inns in Leamington, cottages in Leamington and the Days Inn and Best Western in Leamington. In 2018, I had no logistical concerns with regards to clients staying in different hotels/inns and meeting at a common destination. Please choose what is best for you, but please be sure to let me know where you’re staying, so I can make a note of it, and prepare to organize carpooling, etc. Rates vary depending upon your accommodation, but anywhere from $100 – $150.00 per night is more or less the expected cost in Leamington during the spring Festival of Birds. Cost: $ 500.00 per person (HST included), plus the cost of food and accommodations. Method of payment: Full payment for this tour is due in the form of cash, cheque or e-Transfer by May 1st, 2019. Registration is now closed for this event. To be placed on a waiting list, please send me an email at eontbird@gmail.com.